While all eyes Monday will be focused on the women’s soccer team as it fights to defend its World Cup title against the United States, win or lose, the surge in commercial and public interest may fizzle out after just a few years. Experts said this phenomenon, witnessed four years ago, will leave the Japan’s female soccer community in roughly the same place — playing for low incomes and running out of young hopefuls. No matter what happens, the Japanese national team, nicknamed Nadeshiko, after a flower, can count on receiving a red carpet welcome for beating England last week to secure at least second place. The last time the team gained nationwide attention was in 2011, when it defeated the U.S. on penalties to win the World Cup in Germany. “Shortly after the 2011 game, many domestic female soccer clubs nailed sponsorship contracts with a whole bunch of corporations,” said Naohiko Ueno, a noted sports journalist who has covered Nadeshiko for about 20 years. “The boom was explosive. Ueno said Nadeshiko’s encouraging sprint to the championship in 2011 spurred an increase in female soccer players at universities. But, he said even the most promising of these players seldom decides to go professional due to the unattractive pay. Female players in Japan earn ¥3.5 million to ¥4 million a year on average, with the exception of such stars as Homare Sawa, Ueno said. That compares with the estimated ¥10 million a year that male professional soccer players can make on the highest-ranked clubs in the J. League with just a few years under their belt. The low pay not only discourages young hopefuls from pursuing their dreams, but also forces some of the professional players to quit, Ueno added. Proof of Nadeshiko’s declining popularity recently came in an October survey released by Mitsubishi UFJ Research and Consulting Co. According to the survey, the number of fans plummeted to 21.24 million in 2014 from 40.74 million in 2012. But Nadeshiko’s winning ways at this year’s World Cup in Canada has reignited the public’s enthusiasm. 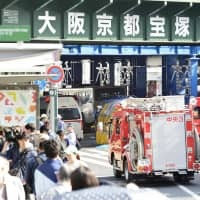 Kirin Brewery Co., the highest-ranking sponsor for both the men’s and women’s teams, told The Japan Times that its green-labeled Tanrei low-malt canned beer bearing an image of the 11 players logged seven times better sales in June than it did a year ago. The brewery, however, added that it is difficult to ascertain how much credit the team deserves for the surge, although it declined to elaborate. 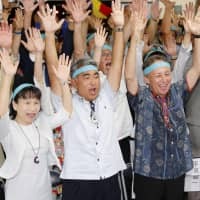 Another official sponsor, Adidas Japan, said it has seen a “definite increase” in related merchandise since the soccer tournament kicked off early last month. But that surge appears set to evaporate. 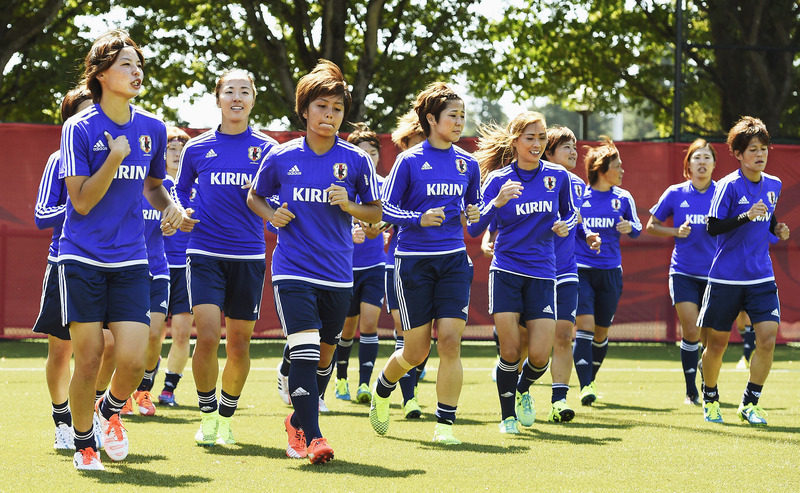 Although more corporations are likely to offer sponsorships or promote the soccer team after the tournament concludes, Ueno predicts that the boom will be temporary and far from helpful in radically changing the prospects in Japan for female soccer players. 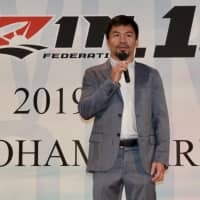 “For example, Japan needs a role model like Mia Hamm,” Ueno said, referring to the legendary retired American soccer player who now serves on the board of directors of Italian club AS Roma. Hamm’s transformation into a successful businesswoman, he said, is the kind of inspiring story that, if emulated in Japan, could help future players here take a more optimistic view of their career options in the sport. In any case, the real challenge the women’s team must overcome isn’t so much Monday’s game, but rather its aftermath, Ueno said. 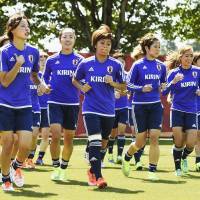 Sasaki confident Japan can defend title against U.S.